A property always needs to be clean and in good condition. It can be for rent or for sale but it must always have the attractiveness and be appealing to customers. This can be done only through regular cleaning that too with the help of professional cleaners. The property must be regularly and thoroughly inspected so that the owners of the place can keep it attractive. Our cleaning company is called Cleaners Putney and provides professional property cleaning services in Putney, SW15 London. Our cleaning team will do its best in order to transform your property into a sparkling clean place. Professional cleaning will ensure that your house or flat will make a nice impression on others. Each and every part of the property is cleaned to make sure that the beauty of the place is maintained. The property can vary in size and the price is quoted according to the hours required in order to perform the cleaning. The floors and surfaces in each area are dusted and mopped up properly. The work involves making the area spotless and stains free. 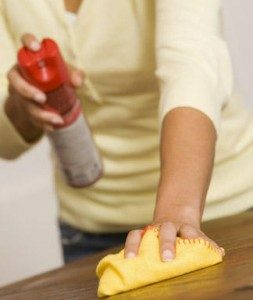 The dust, dirt and grime will be removed from their roots and along with that all the electrical fittings and electrical appliances present in any room will be wiped properly. Not only the inner part of the place but the outer area which includes the garden, yard or the drive way will be cleaned so that you can make a good impression on anyone who visits the place. If you think that a particular area needs special attention and care then you can mention it and our team will take care of it. Though property cleaning includes almost everything, the upholstery and carpet cleaning are other services which are included in our special packages. If you want these services then you can expect a good amount of discount in your price quote.